One of the first concerns your new business is likely to face is pay period — should you pay your employees weekly? Biweekly? Monthly? Of course, you’ll want to take into consideration both the needs of your employees, and your HR payroll administrators. In other words, what is the easiest system for your HR team to process, and what will make most of your employees happiest? Biweekly is a good option to consider, and it’s also the most popular option in the U.S. — the U.S. Bureau of Labor Statistics reports 36.5% of private businesses have decided to use biweekly pay as their pay system of choice. Biweekly is the most common option for a business’s pay period in the U.S. Biweekly pay means you pay your employees on a set day once every two weeks, resulting in 26 paychecks per year. Because payday occurs once every two weeks, some months will have three paychecks. Biweekly can be helpful if most of your employees are hourly workers. Additionally, your employees will be happy to be paid more often (as opposed to monthly or semimonthly). If you’re wondering which pay period option is best to implement at your company — or if you’re just curious what biweekly pay entails — keep reading. Biweekly pay means you pay your employees once every two weeks, on a set day you choose. For instance, let’s say you choose to pay your employees once every two weeks, on Friday. As you can see, it doesn’t matter which day of the month you pay your employees — you can pay them on the 4th one month, and then the 1st another. It’s only important you pay once every two weeks. Once you start the year, you’ll pay your employees once every two weeks. This might sound simple, but that means for two months out of the year, you’ll have three pay periods instead of two. Your HR team needs to process payroll once every two weeks, which can reduce the likelihood of payroll errors and time spent on payroll processing, in comparison to weekly pay periods. Employees receive more pay checks during the year than semimonthly, even if those paychecks are slightly lower than they would be on a semimonthly schedule. A biweekly system is more consistent for employees — for instance, an employee can expect to receive a paycheck on every other Friday. With a semimonthly pay period, the days of the week will vary, with an employee potentially receiving a paycheck on a Monday, and then a Wednesday. It likely makes your employees happier than operating on a monthly schedule, which requires employees to budget for a longer period of time. If you use biweekly pay, your business must be prepared for the months with three paychecks, and budget accordingly to ensure the payroll account has enough money for those extra expenses. Your payroll provider might charge your business for each payroll run, which results in higher annual fees than if you opt for semimonthly. Your employees might want to get paid every week, so they have more consistent money coming into their accounts. If your industry operates on contract work, where projects can stall for periods of time, employees might appreciate weekly pay for a sense of security. Ultimately, it’s critical you consider what your competitors are doing, and what makes the most sense for your employees, when choosing a pay period. Your decision might vary depending on the size of your HR team, whether you can find a payroll provider with fair payroll fees, and whether your employees are salaried or hourly workers. How many biweekly pay periods in 2019? There will be 26 biweekly pay periods in 2019. 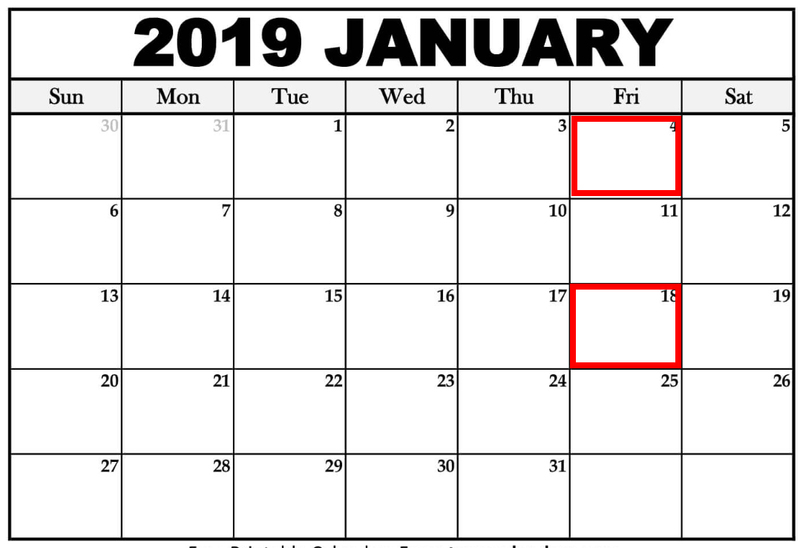 Since biweekly means once every two weeks, you simply need to take the number of weeks there are in 2019 — 52 — and divide that number by two. At first glance, these two terms sound awfully similar — once every two weeks or twice a month are the same thing, aren’t they? Actually, they’re not. Semimonthly means your employees get paid on two specific days of the month, regardless of when they fall. For instance, you might choose to pay your employees on the 15th and 30th of every month. 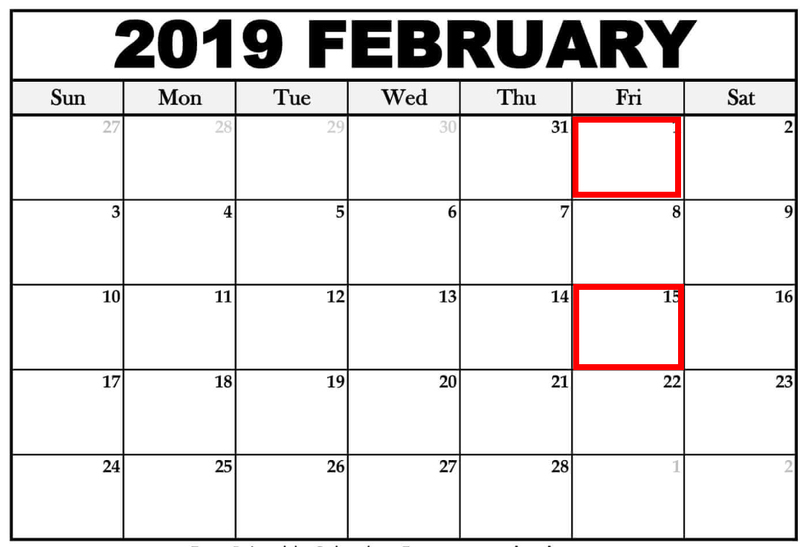 Biweekly, on the other hand, promises employees a paycheck once every two weeks regardless of what day of the month it is — hence, in the calendars above, employees receive paychecks on the 4th, 18th, 1st, and 15th of the month. Semimonthly means employees receive 24 paychecks per year, instead of 26. Additionally, the 15th and 30th of each month could fall on a holiday or weekend depending on the month, so your HR team needs to ensure they’re on-top of processing deadlines and pay dates to ensure your employees still receive a paycheck.